If you are looking for a theme that will make your restaurant website enjoyable for your visitors, Le Maitre d’ might be what you are looking for. Creating a great looking website presentation of your restaurant is crucial for your business nowadays, and picking the right theme is probably the most important thing you should do. Not everyone has a good website, so make sure yours differs from the others in matters of attractiveness and simplicity of usage, because that’s what people like. 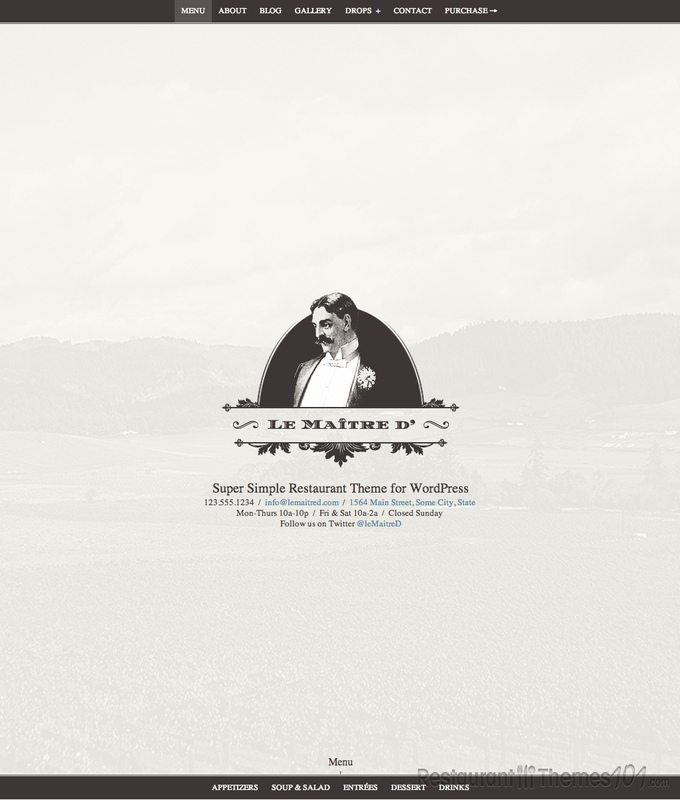 ThemeForest features Le Maitre d’, a great looking WordPress restaurant theme created by TheMolitor. It can also be used as a WordPress cafe theme and it has a clean, simple design with nice retro details and it is very pleasant to see, but even more importantly, it is extremely easy to use, and not just for your visitors – it will be very easy for you to setup and manage your website at any time, even if you have no clue about CSS or HTML. 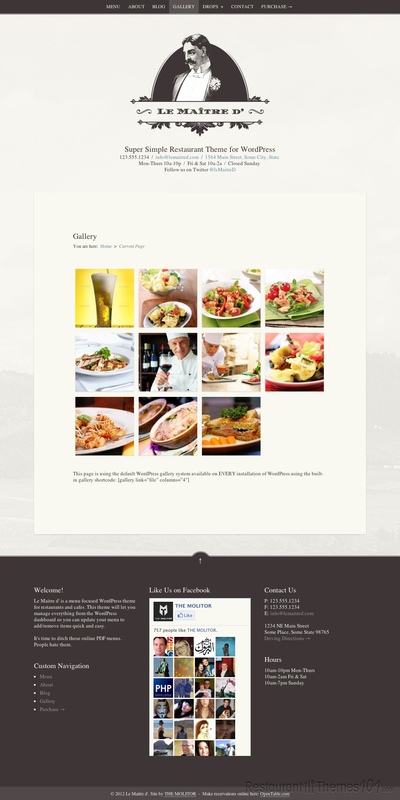 A restaurant website has certain needs for it to achieve its full functionality, and this theme delivers everything you will ever need for your website. Managing all of the features is very easy through the great advanced admin panel with the OptionTree plugin. Customizing the theme is very easy, so you can change anything you want and make the theme unique by tweaking it to look just the way you like it. The theme is translation ready, .POT file is included. You can choose out of unlimited color schemes, link and background colors. The theme layout features full screen background with your own uploaded images, and it is widgetized, so you can add as many widgets as you want in the footer section – and all of this will look very pretty even on iPads. Le Matre d’ is very pretty, very simple to setup and maintain, and very pleasant to browse through.